Snowblower tracks for YS624 are now discontinued - sorry. All parts are genuine Yamaha factory replacement parts. 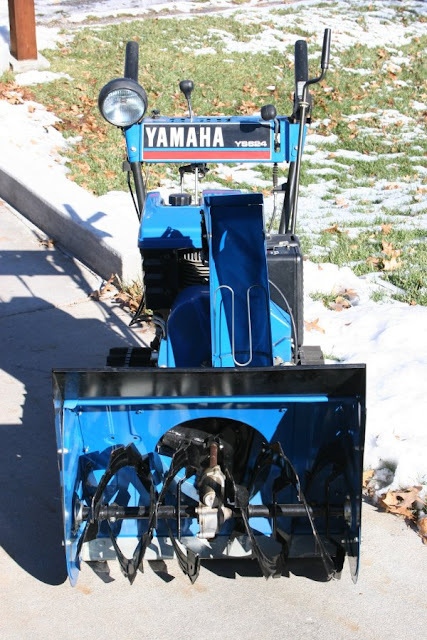 Love your Yamaha snowblower, join the snowblower fan club, see sidebar. Choose original equipment replacement yamaha parts for correct fit and maximum durability. Contact us for more YS828 or YS624 snowblower parts. Tell us the YS model, wheels or tracks? steel tank or plastic tank?. We will reply with information and a link to purchase parts. We ship with a tracking number. Pay by Paypal, Visa, MasterCard, Amex. Visit all our YS624 posts. That one looks 'Unopened' the main problem has been the shear pin. I don't have the OEM so they may be underpowered for this machine.